Discover cities that have shaped the world’s culture. Taste regional flavours and wines that are celebrated around the globe. Experience picture-perfect landscapes that will capture your imagination. Exploring Italy is truly an experience to be savoured. They say all roads lead to Rome, but after we meet today, our route will whisk us away to the awe-inspiring Assisi, the birthplace of St Francis. Tonight, we’ll come together for a delicious dinner in Perugia. Introducing Siena: a gorgeous Gothic city bursting with fabulous architecture. After exploring the Historic Centre, we’ll venture to our villa in the world-renowned Chianti region. 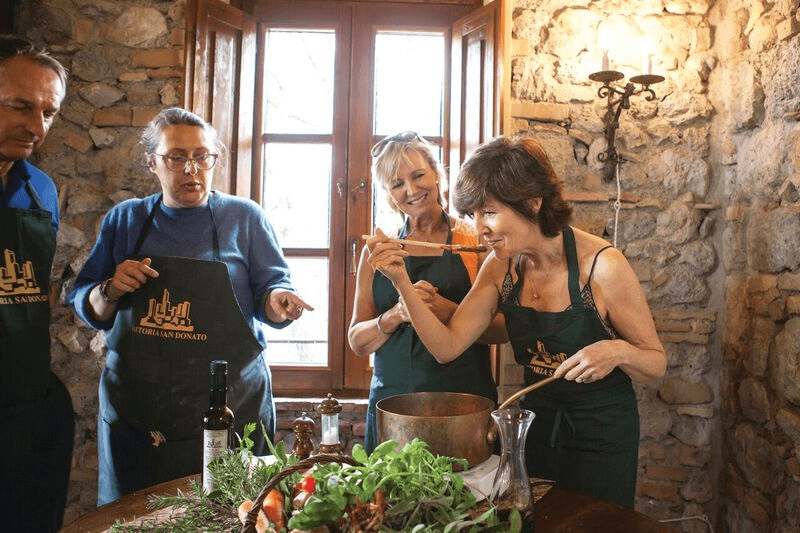 Our host will let us in on a few Italian culinary secrets today as we have a go at preparing a classic Tuscan lunch. Later, the afternoon is yours to relax or explore as you wish. 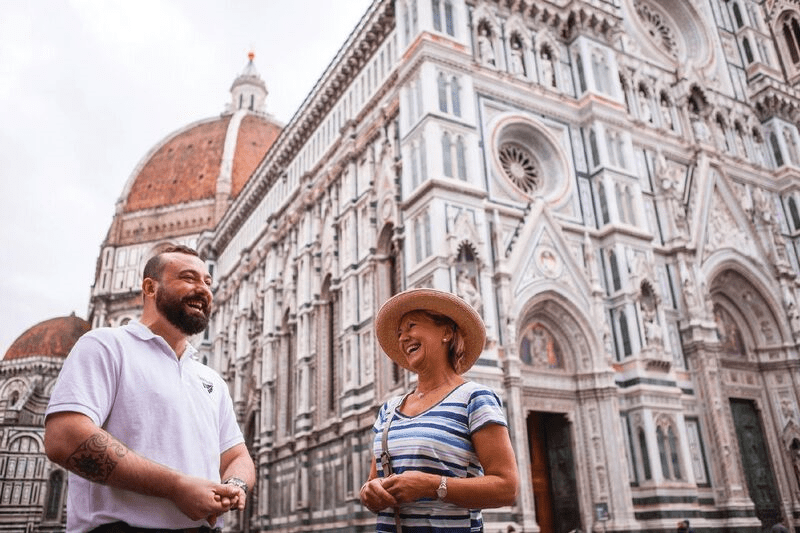 Today we turn our attention to Florence, the birthplace of the Renaissance and home to the world’s most treasured masterpieces. A local guide will bring the city alive as we stroll through the streets on a walking tour. As the afternoon turns to dusk, we’ll continue on to Lucca. We’ll get up close to an Italian icon today with a visit to the famous Leaning Tower of Pisa. Later, the afternoon will see us back in Lucca, where you’ll have the rest of the day and night to explore at your own pace. It’s time to experience the glitz and glamour of the Italian Riviera. 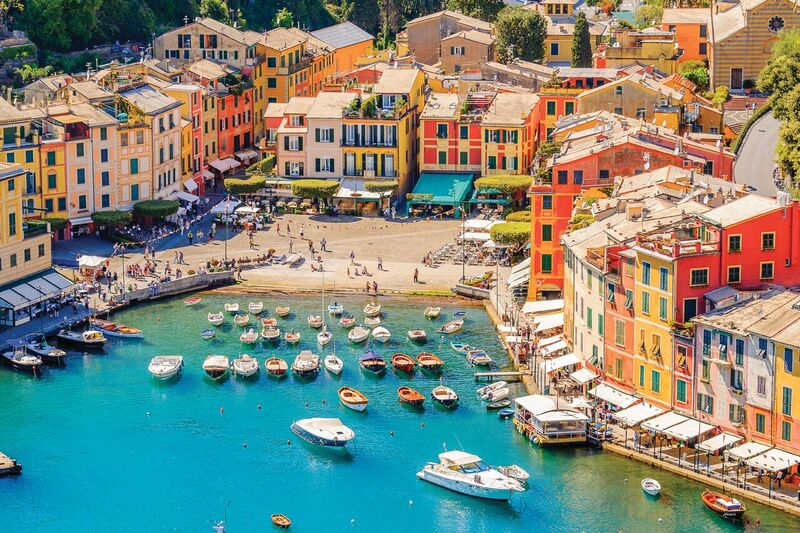 Make sure you have your camera ready – we’ll be ticking off Camogli, San Fruttuoso and the glittering village of Portofino, before settling in Santa Margherita Ligure. The evening is yours to explore at your own pace and stroll along the beachfront, which is lined with pastel-coloured houses. Today we travel inland to Piedmont, a region of rich red wines and luxurious cuisine, before continuing on to the village of Barolo. A treat is in store for the sweet-toothed at a distillery near Asti, where we’ll sip regional liquors complemented by handmade nougat. Finally, we’ll end our day with a sumptuous dinner in Cherasco. This morning we’ll join a truffle hunt with a local farmer. After a risotto tasting lunch, it’s time to head for the hills, pristine lakes and soaring mountains of northern Italy. Lake Maggiore will be the magnificent final stop on today’s journey. Today we’ll leave dry land behind and set sail for the Borromean Islands. We’ll have plenty of time to wander the terraces of the ornate baroque garden on Isola Bella and discover the pretty harbour of Isola dei Pescatori. The rest of the day is yours to relax or explore. 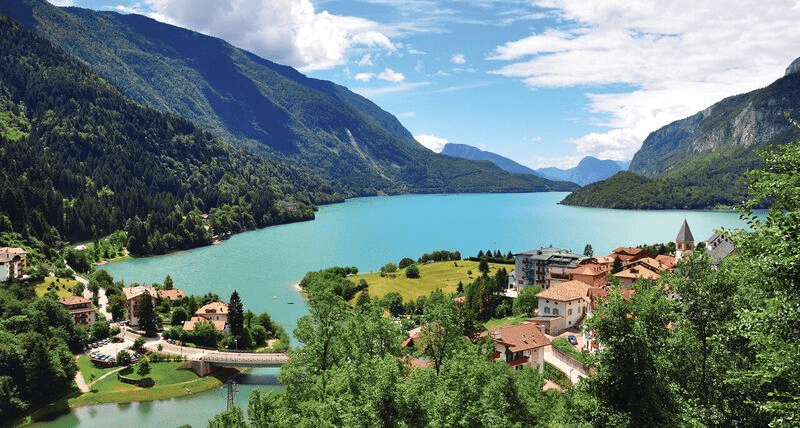 After bidding farewell to Lake Maggiore, we’ll discover the sights of Lecco. After an indulgent afternoon of wine tasting on the way to Tirano, we’ll return to our hotel and meet for dinner at a local restaurant to continue our culinary adventure. This morning we’ll turn our attention to the majestic Lake Molveno, which lies at the foot of the Brenta Dolomites. We’ll continue to Trento for a walking tour and meet in the evening for a farewell dinner. Fair Verona beckons today, with its impressive Roman ruins and romantic hotspots. Then, it’s onwards to the show-stopping finale, the floating city of Venice, where we’ll bid farewell to the group.